Transmasters Transmission and Auto Care is considered one of the top-ranked San Diego Ford repair shops. Our mechanics are experienced and certified in both Ford and most other makes and models of American made cars. We service everything from economical cars to heavy duty trucks. 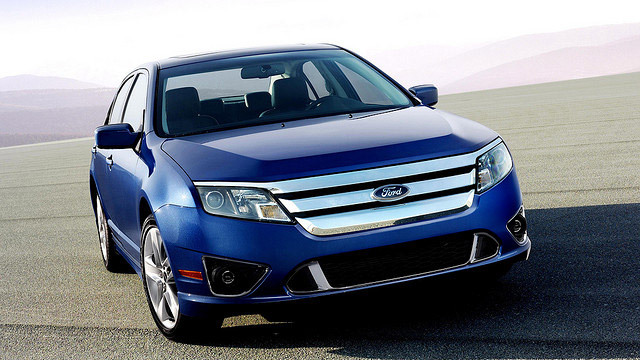 Ford vehicles are very popular cars, because of their competitive pricing and longevity. In order to ensure you stretch out the lifetime of your automobile as much as possible, you need to maintain the engine with regular tune-ups. Transmasters has been a local icon in the San Diego area since 1989. We offer everything from a simple oil change to a drive train overhaul. Our goal is to achieve 100% customer satisfaction. This means that you leave happy with the repair services that were performed on your car as well as the treatment and communication you receive from our staff. It is this commitment to excellence that has gained us the trust of over 200 auto repair shops and thousands of customers. In order to keep your vehicle in perfect running condition, you need to perform regular maintenance. Whether you’re due for engine service, a tire rotation, oil change or tune-up, Transmasters has you covered. But what if your problem is more major? The highly trained staff at Transmasters is capable of quickly diagnosing and fixing even the most complex issues. Our mechanics are trained and experienced in clutch repairs, steering and suspension service, cooling system service, differential & transfer case (4WD), and much, much more. We even have an on-site transmission facility where we’re able to completely rebuild transmissions, either manual or automatic. And the best part is the peace of mind your get when bringing your car to Transmasters. We offer guaranteed service on all repair and maintenance work performed by our specialists. We stand behind our work, no matter how minor or major. As a Ford owner, consider Transmasters to be a one-stop-shop for all your maintenance and repair needs. We are experts in all year, make, and models of Ford vehicles and many other automakers as well. Serving the San Diego County area, our shop is located in Miramar and is easily accessible. Read more about the history of and services offered by Transmasters on our website. We strive to make the auto care business a “no-hassle” proposition for you. You can even set up a repair appointmentonline! Call or click today and see why so many people trust the care of their cars to Transmasters Transmission and Auto Care.